Many communities worry that when a housing association develops housing in their area, the community will have little or no say in how the houses are allocated, and that they will go to people who don’t live in the community but who have more housing need than local people. This can cause resistance to the housing association developing at all or can be an impetus behind communities wishing to develop themselves. However there are ways in which communities and housing associations can work together to ensure that new housing meets the needs of local people. At the most basic this can be ensuring that local people are on the waiting list or are registered with the housing association, but more formal “local lettings initiatives” can be agreed between the community and the housing association to give some priority to local people. 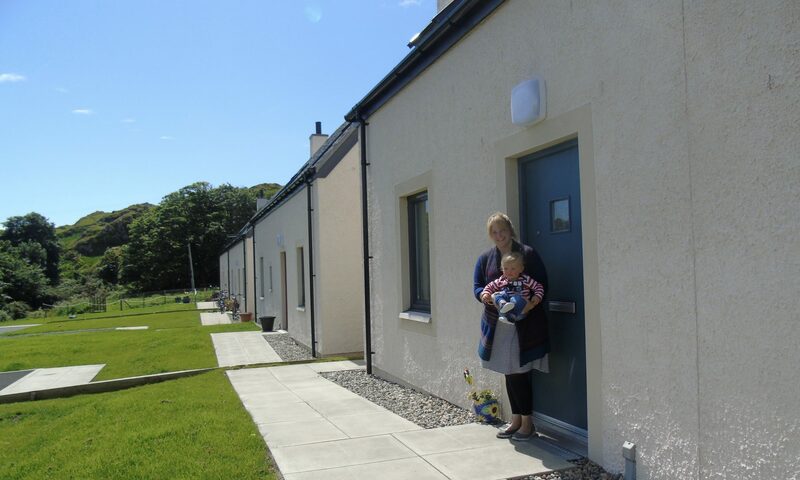 “ Orkney Housing Association implemented a local lettings initiative to make sure that the allocation of two new houses on the island of North Ronaldsay helped to support the needs of the community. Other local lettings initiatives have been developed by Rural Stirling Housing Association and Albyn Housing Society. East Lothian Housing Association and others whilst not operating a local lettings policy do give some weight to need to be in an area in their allocations.